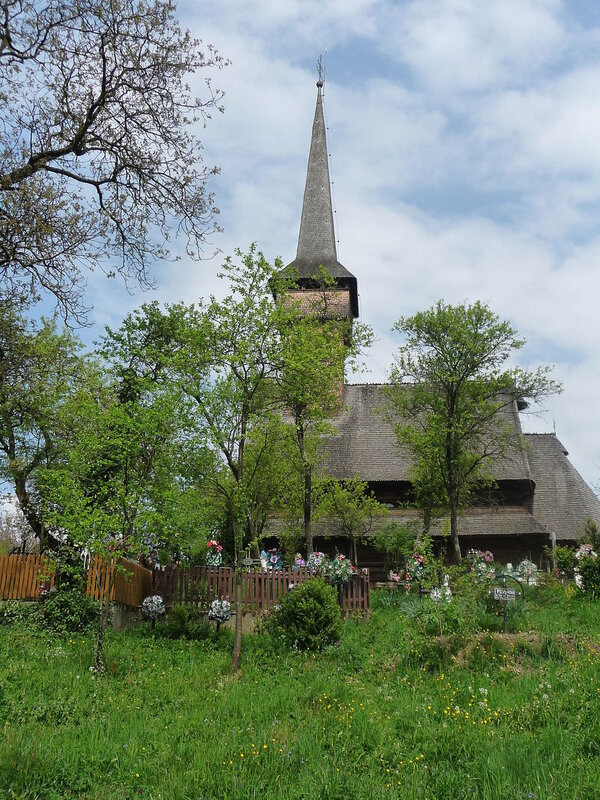 Multiculturalism, or at least a certain opening towards other cultures, is not what one would normally expect from a wooden church in Maramureş. Still, the one in Deseşti seems to display particularly such traits. Specifically, it is located on a hill, next to a cemetery that contains, among others, a couple of Celtic crosses. Also interesting in this respect is the fact that one of the main paintings inside the church, a scene from the Apocalypse, actually features people of various nations, among them Germans, Turks and Tartars. And that dates back to 1780! The history of the Saint Parascheva wooden church of Deseşti, currently listed as a UNESCO World Heritage Site, starts in 1770, when the locals erected it in the central-western part of the village. One legend has it that, following an invasion, the Tartars burnt down the village church, and then it took the villagers five attempts to finally locate the correct place to set the head-stone. Once they did, though, they managed to build one of the most representative monuments of XVIII century Maramureş. From the outside, what strikes the viewer who stops to look at this church is the well measured harmony of its constituent elements and the exquisite care visible in the choice of the timber, the quality of all the joints, and the beauty of the sculptured decorations. The painters have provided vivid illustration of the “Blood shedders”, “fornicators”, thieves, corrupt judges, and a “girl who sleeps on Sundays”. These are all painted either in the midst of flames and tortures or being carried in wheelbarrows towards the same end. 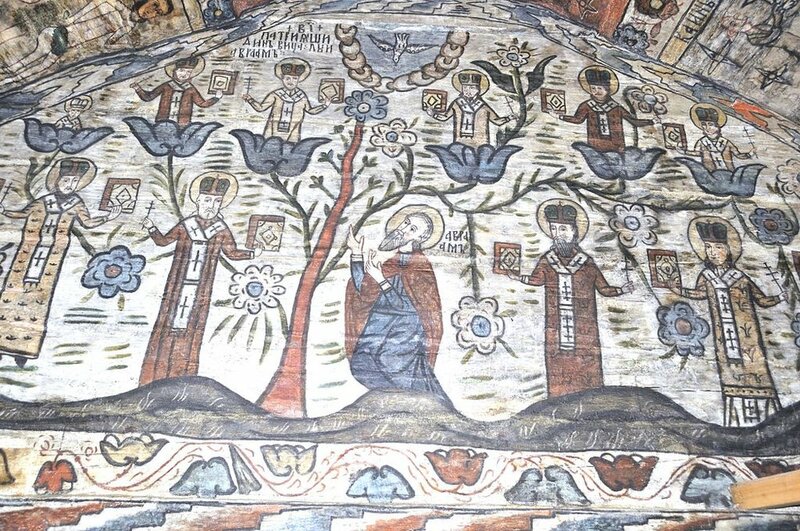 But these gruesome images are balanced by representations of Heaven, painted on the eastern wall and illustrated through the image of the three patriarchs holding the souls of the chosen ones in their arms. Other religious themes amply represented in paintings are scenes from the Old Testament (namely the Genesis) and the New Testament (mainly miracles, parables and the Passions of Christ). Once the visitor crosses its door-step, the inside of the church is just as impressive. While the paintings inside are considered by specialists to be of post-byzantine tradition, the style does have some features that are specific to Maramureş only. Most notable is the addition of particular characters in the scenes representing Hell: Laziness, Death, Plague and Hunger are four of the terrible demons that await those who have sinned.